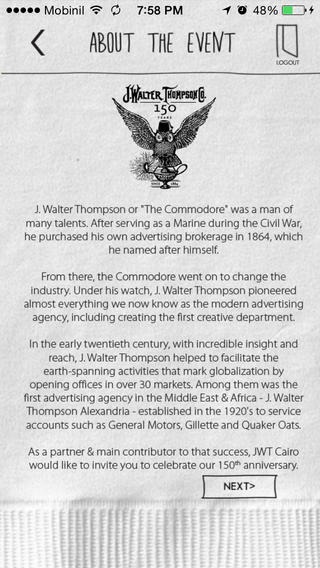 The application was built to run on iOS, Android and Windows phone and was sent to the attendees list that was invited to the grand opening event of JWT’s new premises. 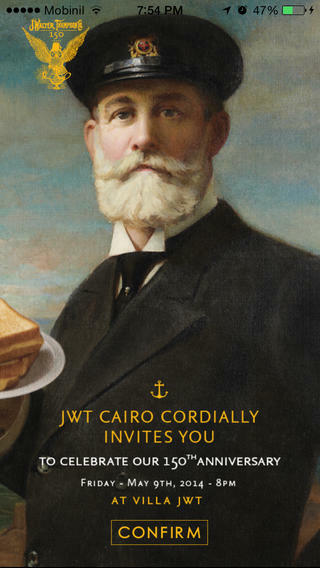 The app had several experiences where the attendees were able to share live pictures taken at the event and memories with JWT on screens at the event’s location, play videos related to certain brands once that brand’s logo is scanned using Augmented Reality and image processing technologies. 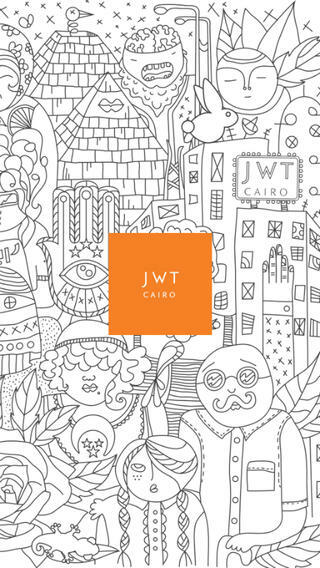 With over 500 invitations sent to their top clients, JWT Egypt had to create an indifferent experience to its invitees that were invited to attend the opening ceremony of their new premises ( Villa JWT – Zamalek, Cairo). Links to the app on iOS, Android and Windows platforms were sent via e-invitations to all the invitees who were directed to the corresponding stores to download the application. 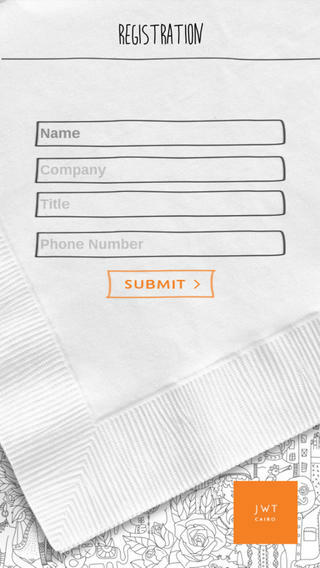 The application’s full access was only granted to the event’s invitees while normal users were granted access to minimal features such as JWT’s location, website and the event’s invitation visual. The app had several experiences where the attendees were able to share live pictures taken at the event and memories with JWT on screens at the event’s location, play videos related to certain brands once that brand’s logo is scanned using Augmented Reality and image processing technologies.